Finally, a fun way to thoroughly drill ear training with students of all ages! 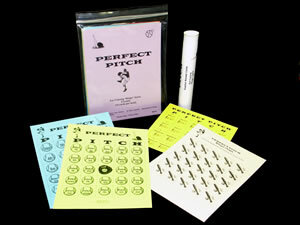 Perfect Pitch is a baseball themed ear-training “Bingo” game in 3 levels. All three levels are included, with 10 color-coded cards per level. Game chips and Teacher Ear Training Guides are also provided. Teach your students to recognize a variety of intervals in a FUN way! 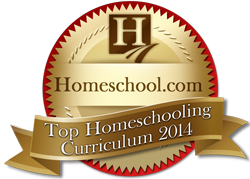 This is the perfect complement to Hit a Home Run With Theory - Lesson Plans & Worksheets. Cards are varnished to guarantee years of use. CONCEPTS INCLUDE: Level 1 (Pre-Season) Suggested for Grades 1-3: Step (2nd), Skip (3rd), 4th, 5th, Octave (8ve), 4 notes that step, 4 notes that skip. Level 2 (Major League) Suggested for Grades 4-6: Unison, 2nd, 3rd, 4th, 5th, 6th, 7th, Octave (8ve), Major 3rd, minor 3rd, Half Step. Level 3 (World Series) Suggested for Grades 7-12: Perfect unison, Major 2nd, Major 3rd, Perfect 4th, Perfect 5th, Major 6th, Major 7th, Perfect 8ve, minor 2nd, minor 3rd, minor 6th, minor 7th.